Ever wonder what your current vehicle might be worth? We want to make your car buying experience as simple as possible. After choosing which vehicle they’re searching for most customers want to know what their vehicle is worth. By entering your info you will have that information from Canadian Black Book in a matter of seconds! While the amount is subject to final appraisal, the Value Your Trade feature allows you to confidently discuss your options when looking for your next vehicle. 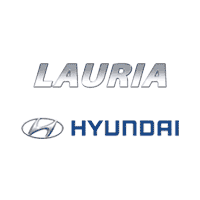 Even if you don’t buy from us, Lauria Hyundai is always looking for top quality trade-ins to stock our pre-owned inventory. We invite you to check your Trade-In and let us make you an offer! No Purchase Necessary – No Commitment, No Obligation. We will contact you within an hour to discuss your Trade-In options and help you find the right fit for your family!